Sharing information – Member organizations have an opportunity to gather and disseminate authoritative and timely information about all aspects of nuclear energy. The CNA also provides members with analyses of opportunities and problems on the development and use of nuclear energy. Representation – The CNA presents members’ viewpoints to public inquiries, regulatory bodies, and to government organizations. Raising awareness – The CNA helps to foster an accurate public understanding of the uses of nuclear energy for peaceful purposes. Sponsorship – The CNA sponsors activities on the successful marketing of nuclear-related products and services in Canada and around the world, as well as conferences, seminars, and courses on the development and use of nuclear energy, uranium production, and related issues. Networking – Member organizations establish and maintain close ties with other associations that have similar interests. 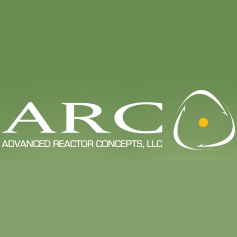 Advanced Reactor Concepts LLC (ARC) was formed to commercialize a 100 MWe sodium cooled fast reactor. The first of a kind reactor will be built and installed in Canada. 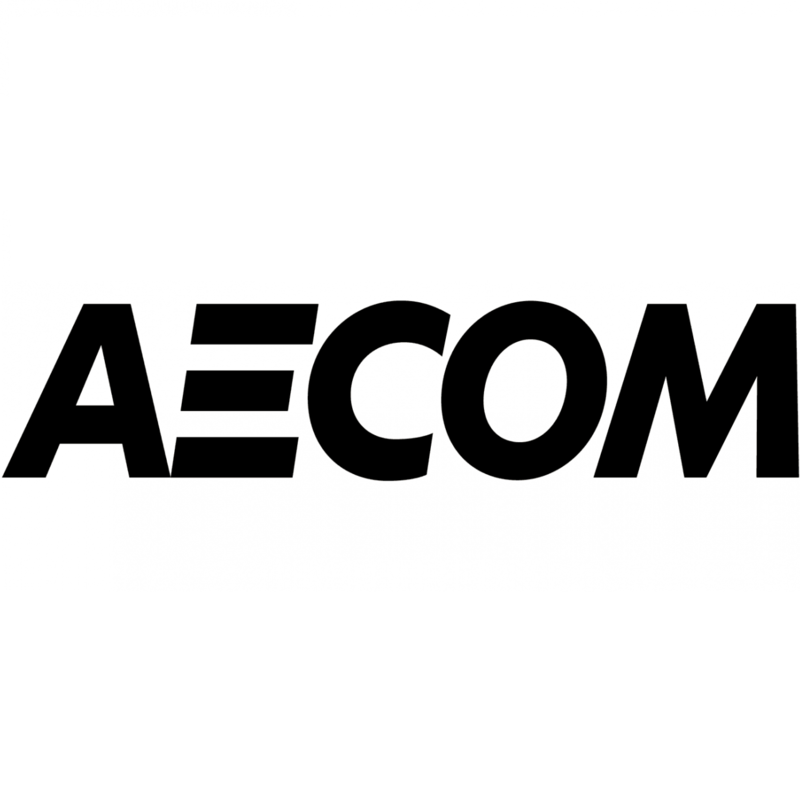 AECOM is a global leader in providing fully integrated professional technical and management support services for a broad range of markets. In Canada and in the nuclear domain, AECOM has provided engineering design for waste storage and disposal and has supported the licensing processes for nuclear organizations in Canada. Globally AECOM provides EPC services to Nuclear Utilities and designs, constructs, and operates nuclear repositories. Aecon Group Inc. is a Canadian leader and partner-of-choice in construction and infrastructure development. Aecon provides integrated turnkey services to private and public sector clients in the Infrastructure, Energy and Mining sectors and provides project management, financing and development services through its Concessions segment. Alithya Group Inc. is one of the most prominent private strategy and information technology consulting firms in Canada and the largest in Québec. Founded in 1992, the firm advises, guides and assists its clients in their pursuit of innovation and excellence. Alithya prioritizes the achievement of business objectives on every project through the optimal use of digital technologies. Its clients mainly operate in the financial services, telecommunications, energy, transportation, health care and government services sectors. With more than 1,600 professionals across Canada, the United States and France, Alithya is known for its deep commitment to social responsibility and its strong contingent of women, particularly at the management level. The American Nuclear Society (ANS) is a not-for-profit, international, scientific and educational organization. It was established by a group of individuals who recognized the need to unify the professional activities within the various fields of nuclear science and technology. ANS has since developed a diverse membership composed of approximately 11,000 engineers, scientists, administrators, and educators representing 1,600 plus corporations, educational institutions, and government agencies. The Australian Nuclear Science and Technology Organisation (ANSTO) is one of Australia’s largest public research organisations and a widely recognised international player in high-end nuclear science and technology. We operate much of our country’s landmark science facilities including one of the world’s most modern nuclear research reactors, OPAL, a comprehensive suite of neutron beam instruments, the Australian Synchrotron, the National Imaging Facility Research Cyclotron and the new Centre for Accelerator Science. Since 1987, ASI Group Ltd. has been positioned as an industry leader in water and wastewater engineering and marine services. Although our scope and depth of work has continually increased over the years, our core business of marine services and water and wastewater services remains the same. Our strongest asset has been the ability to offer a full service approach – from initial problem identification to the development and implementation of the appropriate solution. Atomic Energy of Canada Limited (AECL) is a federal Crown corporation responsible for managing Canada’s radioactive waste liabilities and enabling nuclear science and technology. We deliver our mandate through a contractual arrangement with Canadian National Energy Alliance (CNEA) for the management and operation of Canadian Nuclear Laboratories (CNL) under a Government-owned, Contractor-operated (GoCo) model. Under the GoCo model, AECL leverages its facilities, assets and intellectual property by bringing to bear private-sector rigour in the operation of the nuclear laboratories through the contract with CNEA. ATS is an industry-leading automation solutions provider to many of the world’s most successful companies. ATS uses its extensive knowledge base and global capabilities in custom automation, repeat automation, automation products and value-added services including pre-automation and after-sales services to address the sophisticated manufacturing automation systems and service needs of multinational customers in markets such as life sciences, chemicals, consumer products, electronics, food, beverage, transportation, energy, and oil and gas. B.C. Instruments has been serving customers in the Aerospace, Defence, Plastic Injection Molding, Medical, Nuclear and Electronic industries since 1971. Utilizing modern CNC equipment, our skilled employees specialize in the manufacture of components and assemblies requiring close tolerances of up to +/- .0001 inch. We also have the capability and experience to work with customers through the research and development stage of new projects. Bechtel is one of the most respected global engineering, construction, and project management companies. Together with our customers, we deliver landmark projects that create long-term progress and economic growth. Since 1898, we’ve completed more than 25,000 extraordinary projects across 160 countries on all seven continents. We operate through four global businesses: Infrastructure; Nuclear, Security & Environmental; Oil, Gas & Chemicals; and Mining & Metals. BFC Technologies designs and fabricates specialized process equipment. Since it was founded in 2003, BFC Technologies has successfully delivered hundreds of customized process systems for a wide range of customers including Biotech/Pharmaceutical, Food and Beverage, Consumer Product and more recently, Nuclear. Our clients are based throughout Canada and the United States. Black & Veatch is an employee-owned, global leader in building critical human infrastructure in Energy, Water, Telecommunications and Government Services. Since 1915, we have helped our clients improve the lives of people in over 100 countries through consulting, engineering, construction, operations and program management. Our revenues in 2016 were US$3.2 billion. Bremar Construction Ltd., a wholly owned subsidiary of Aecon Group Inc., is a commercial and industrial contractor engaged in various sectors across Canada particularly in the utility sector in western Canada and in the nuclear sector in Ontario. Our expertise and personnel are respected throughout the industry. Driven by a company-wide commitment to provide the highest quality construction services, on-time and within budget, we have continued to evolve in a changing market. The County of Bruce is located in the northern part of Southwestern Ontario and is bordered by Georgian Bay to the north and east, Grey County to the east, Huron County to the south and Lake Huron to the west. The County encompasses an area of approximately 4,048 square kilometres and presently supports a population of approximately 65,000 people. 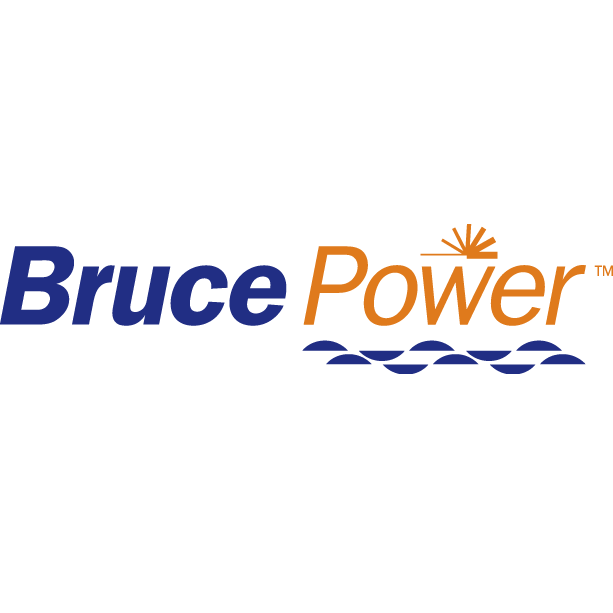 The main pillars of the Bruce economy include tourism, agriculture, and of course the Bruce Nuclear Power site. The County has an active economic development program, which recognizes the nuclear sector as one of our core strengths. BWX Technologies, Inc. (BWXT) is a leading supplier of nuclear components and fuel to the U.S. government; provides technical, management and site services to support governments in the operation of complex facilities and environmental remediation activities; and supplies precision manufactured components, services and CANDU® fuel for the commercial nuclear power industry. Cahill Group is a Canadian owned and operated company with offices across Canada with sectors in off shore oil and gas/hydro/electric, thermal and nuclear. The Cahill Group is a full service supplier in the construction industry. Cahill Technical Services provides engineering services and has a complete panel shop, refurbishment shop and valve testing shop.Cahill has three major shops/manufacturing facilities: Pipe Fabrication and two Structural Steel Shops along with a 12,000 sq facility in Brampton, ON. Cameco is one of the world’s largest uranium producers providing about 16% of the world’s production from our tier-one operations in Canada and Kazakhstan. We hold about 458 million pounds of proven and probable reserves and extensive resources on three continents. Our exploration programs are focused on about one million hectares of land near our existing operations. We are also a leading provider of nuclear fuel processing services, supplying much of the world’s reactor fleet with the fuel to generate one of the cleanest sources of electricity available today. Founded in 1891, CEA is the national forum and voice of the evolving electricity business in Canada. The Association contributes to the regional, national, and international success of its members. CNL is Canada’s premier nuclear science and technology organization. CNL is a world leader in developing peaceful and innovative applications from nuclear technology through its expertise in physics, metallurgy, chemistry, biology and engineering. Highly skilled employees enthusiastically deliver a range of nuclear services – ranging from research and development, design and engineering to specialized technology, waste management and decommissioning. The Canadian Nuclear Society (CNS) promotes the exchange of information on all aspects of nuclear science and technology and its applications. This includes nuclear power generation, fuel production, uranium mining and refining, management of radioactive wastes and used fuel. Other topics include medical and industrial uses of radionuclides, occupational and environmental radiation protection, the science and technology of nuclear fusion, and associated activities in research and development. The Canadian Nuclear Workers Council (CNWC), founded in 1993 is an umbrella organization of Unions representing workers in all sectors of the Canadian nuclear industry. Represented sectors include electric power utilities, uranium mining and processing, radioisotope production for medical and industrial purposes and nuclear research. Canadian Power Utility Services Ltd.
CPUS Limited is a full-service design, project management, procurement and engineering services company as well as a Canadian Agency representing a number of qualified Chinese Manufacturers of power plant equipment and materials. Our highly experienced team of experts are readily available to provide innovative solutions to meet all of our customer’s needs. CUSW is a Canada-wide Union comprised of a community of workers, employers and other partners leading in an era of social and economic change. With a member-driven, participation model at its center, CUSW is changing the idea of what a Union can be. Candu Energy Inc. is a Canadian wholly owned subsidiary of Montreal-based SNC-Lavalin Inc., specializing in the design and supply of nuclear reactors, as well as nuclear reactor products and services. The CANDU Owners Group (COG) is a private, not-for-profit corporation funded voluntarily by CANDU operating utilities worldwide, Canadian Nuclear Laboratories (CNL) and supplier participants. COG is a trusted nuclear industry leader comprised of highly-skilled employees with extensive experience in many facets of CANDU nuclear technology. CCN is recognized as a specialized service supplier in the nuclear industry. Our team of experts has extensive experience in the design and development of global solutions for the management of low‐, intermediate‐, and high‐level radioactive materials. Our engineering department provides our clients with integrated expert services, from the idea to the implementation and decommissioning of equipment, systems, and facilities in the field of radioactive material management. CSA Group is a global provider of testing, inspection and certification services for products from a wide range of market sectors, and a leader in safety and environmental certification for Canada and the US. As one of the largest standards development organizations in North America, we understand the recognized benchmark that a standard sets – a benchmark that products can be tested and certified to – opens international doors for those products. Our CSA certification mark appears on billions of products worldwide. Denison is a uranium exploration and development company with interests focused in the Athabasca Basin region of northern Saskatchewan, Canada. In addition to its 60% owned Wheeler River project, Denison’s interests also include a 22.5% ownership interest in the McClean Lake joint venture, which includes several uranium deposits and the McClean Lake uranium mill, plus a 25.17% interest in the Midwest deposit and a 60% interest in the J-Zone deposit on the Waterbury property. Durham Region is geographically the largest municipality in the Greater Toronto Area, featuring an impeccable blend of natural spaces and urban amenities. Durham’s excellent quality of life and commitment to environmental sustainability attract a highly skilled and educated labor pool. Our post-secondary institutions are recognized for innovative, market-driven programming, generating a steady stream of competent graduates. The Region’s affordable real estate and competitive development charges make it an attractive choice for businesses and families. Ellwood Group, Inc. is a family-owned, privately-held company that has been operating for over 100 years. Through growth and acquisition, EGI has become a major supplier of high-quality, engineered, heavy metal components to customers all over the world. While EGI has grown significantly and now employs over 2,000 employees, the same family values are just as important now and they were 100 years ago.. Endeavor Robotics is the world’s largest supplier of unmanned ground vehicles and has delivered over 6,500 units to 40+ countries, totaling 3 million hours of robot operation. Every day Endeavor products operate in areas of conflict, assist law enforcement agencies and respond to natural disasters to protect human lives. 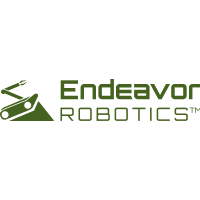 Endeavor Robotics is 100% based in the United States – including R&D, manufacturing, staffing and ownership. Endeavor employs over 100 people and draws on 28 years of experience. The Energy Council of Canada brings together senior energy executives from industry and government engaged in national, continental, and global energy activities and issues to share in strategic thinking, dialogue, collaboration and actions around energy matters in Canada and abroad. Our members come from energy corporations, energy industry associations, Canadian federal and provincial government departments and agencies, academic organizations, professional services firms, as well as crown corporations. EnergySolutions is an international nuclear services company headquartered in Salt Lake City, Utah, with operations throughout the United States, Canada and Japan. EnergySolutions is an industry leader in the safe recycling, processing and disposal of nuclear material. We provide a full range of Decommissioning and Decontamination (D&D) services to shut down nuclear power plants. Our customers include the United States Government, all United States Nuclear Power Plants, along with various medical and research facilities. Established in 1934 as a small regional plumbing and heating company, E.S. Fox Limited today is recognized as a preeminent Canadian multi-trade Industrial, Commercial, Institutional (ICI), and nuclear constructor and fabricator. The company is headquartered in Niagara Falls, Ontario and maintains full-service regional offices in Hamilton, Toronto, Port Robinson, Kincardine, Whitby, Kingston, Thunder Bay and Sudbury. 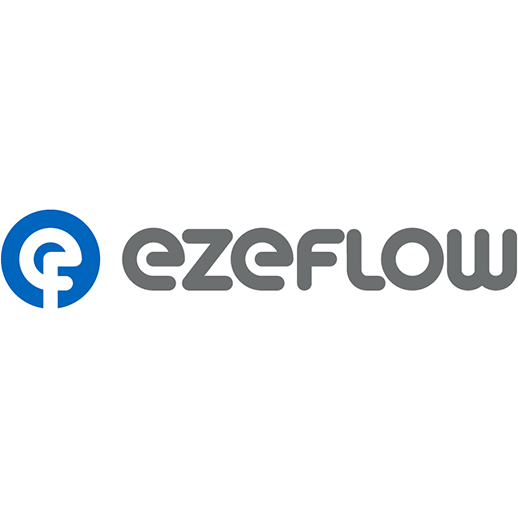 EZEFLOW, located near Montreal, is a nuclear certified manufacturer of tees, reducers, elbows, caps, crosses, laterals and other fittings in stainless steel, duplex, super duplex, titanium, aluminium, nickel and nickel alloys, chrome molybdenum, zirconium and cladded from 1/2” to 84” with max wall thickness up to 4”. EZEFLOW’s strength is not only technical but also service wise as EZEFLOW is able to produce fittings in very short lead times for the nuclear industry. As a FORTUNE 500 company, Fluor delivers engineering, procurement, fabrication, construction (EPFC) and maintenance solutions to government and private sector clients in diverse industries. For over a century, clients select Fluor to complete their challenging projects. Since 1981, The GEL Group Inc. (GEL) has provided a unique breadth of analytical testing, environmental consulting, civil engineering and geophysical engineering services that meet high standards of quality and accuracy. General Fusion is pursuing the fastest and most practical path to commercial fusion energy, and is based in Vancouver, B.C., Canada and Washington D.C., USA. The company was established in 2002 and is funded by a global syndicate of leading energy venture capital firms, industry leaders, and technology pioneers, including: Chrysalix Energy Venture Capital, Bezos Expeditions, Khazanah Nasional Berhad, Cenovus Energy, Growthworks, Braemar Energy Ventures, BDC, Entrepreneurs Fund, SET Ventures, and Sustainable Development Technology Canada. Gowling WLG is an international law firm with offices in 18 cities around the world. Our global reach and deep industry expertise help our clients successfully operate in the nuclear industry. We provide nuclear-specific counsel on matters spanning the full lifecycle of nuclear projects, including: nuclear finance and structuring, project documentation (including EPC contracts and fuel supply agreements), power purchase agreements, M&A, licensing and regulatory issues, construction delay, claims management and dispute resolution, IP rights, protections, nuclear waste management, decommissioning and environmental issues. Whatever our clients envision, we can design and build. With over six decades of business and technical experience in the mining, energy, and infrastructure sectors, we know your business and understand that your challenges are changing rapidly. We respond quickly with solutions that are smarter, more efficient and innovative. We draw upon our 9,000 staff with experience in over 150 countries to challenge the status quo and create positive change for our clients, our employees, and the communities we serve. In Canada, Hitachi Group of Companies offer a broad range of innovative solutions to meet the specific needs of our customers. Market sectors served includes: Energy, Information Systems, Electronic Devices, Industrial Systems, Automotive Products, Medical and Healthcare Products, Home Improvement, and Consumer Products. IMI plc, the specialist engineering company, designs, manufactures and services highly engineered products that control the precise movement of fluids. Its innovative technologies, built around valves and actuators, enable vital processes to operate safely, cleanly, efficiently and cost effectively. The Group works with industrial customers across a range of high growth sectors, including energy, transportation and infrastructure. IMI employs some 11,000 people, has manufacturing facilities in more than 20 countries and operates a global service network. IronPride Consultants, Ltd. (IronPride) is woman-owned small business specializing in strategic management solutions for commercial and government clients in energy, environment and nonproliferation. IronPride has for >10 years assisted small to multi-billion dollar, international nuclear services and engineering companies throughout North America. It was founded on the premise that long-term relationships with Corporate and senior management could be developed by providing responsive and strategic advisory and technical support services and by taking ownership of client problems and assignments to ensure innovative and effective resolution. Jacobs leads the global professional services sector delivering solutions for a more connected, sustainable world. With $15 billion in combined revenue and a talent force more than 74,000 strong, Jacobs provides a full spectrum of services including scientific, technical, professional and construction- and program-management for business, industrial, commercial, government and infrastructure sectors. JNE Consulting Ltd. is a comprehensive multi-disciplinary engineering service provider supporting our clients throughout all phases of the engineering process. Our services include conceptual engineering, detailed design/engineering, 3D modeling, procurement, and startup support. Kiewit has served the power generation market for more than 30 years. We have helped clients meet the challenge of changing power consumption trends and generating strategies by building run-of-the-river hydroelectric, nuclear and geothermal power plants, as well as cogeneration, combined-cycle and waste-to-energy generation and resource facilities. We bring in-depth expertise to deliver power projects using engineer-procure-construct (EPC), design-build, design-assist and traditional bid-build models. Kinectrics is a leading testing, inspection, certification and consulting company with over 25 unique laboratory and testing facilities. With an expertise built on over 100 years of experience, our award-winning team of over 400 engineers and technical experts is recognized worldwide. L3 MAPPS has over 30 years of experience in pioneering technological advances in the marine automation field and over 40 years of experience in delivering high-fidelity power plant simulation to leading utilities worldwide. In addition, the company has more than four decades of expertise in supplying plant computer systems for Canadian heavy water reactors. L3 MAPPS also provides targeted controls and simulation solutions to the space sector. Laker Energy Products Ltd. is a supplier of nuclear grade material and a manufacturer of nuclear grade components used in Candu nuclear power reactors. The company’s main products include all Feeder material and components, End Fittings, Liners, Shield Plugs, Closure Plugs, Fuel Handing components, Shutoff and Adjuster Drive Mechanisms. Since 1952, Lakeside Process Controls Ltd. has been providing innovative automation solutions with superior customer service. Lakeside is an employee-owned Canadian company that operates as the exclusive Local Business Partner of Emerson Process Management in Ontario (excluding the Ottawa Valley), Manitoba, and the Kivalliq region of Nunavut. Lakeside’s solutions range from devices that measure and relay diverse physical and chemical conditions, devices that control flow of materials, networks that transmit event related information, to process control systems that collect information and trigger necessary actions to ensure continued operations, based on the logic defined for the process being automated. McMaster University is home to a suite of world class nuclear facilities that serve as a centre for nuclear research and development, supporting innovation in advanced manufacturing, healthcare, agriculture and the environment, and clean energy technology. Our facilities include a 5MW nuclear research reactor with 6 radial beam tubes for neutron beam science, more than a dozen in-core neutron irradiation sites, medical isotope production facilities, radioanalytical services and both industrial and radiopharmaceutical hot cells. MDA is a global communications and information company providing operational solutions to commercial and government organizations worldwide. MDA’s business is focused on markets and customers with strong repeat business potential, primarily in the Communications sector and the Surveillance and Intelligence sector. 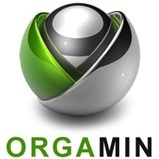 In addition, the Company conducts a significant amount of advanced technology development. MDA’s established global customer base is served by more than 4,800 employees operating from 15 locations in the United States, Canada, and internationally. Our organization is comprised of over 1000 talented professionals, passionate about delivering world class products, services, and solutions in the world of radiation detection and protection. From our 13 operating facilities across North America, Europe, and Asia, Mirion Technologies offers products and services in 5 key areas: health physics, readiation monitoring systems, imaging systems, dosimetry services, and sensing systems. 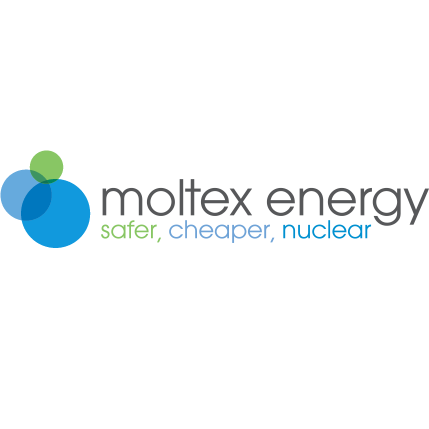 Moltex is a design company developing a unique static fueled molten salt reactor concept and associated fuel cycle technology. The design’s inherent safety can reduce capital costs for nuclear power. MZConsulting specializes in advising governments, utilities and others interested in nuclear power and investment in uranium companies. Our focus is on managing nuclear projects for success by advising on how to increase confidence and reduce project and program risk. This is accomplished by assisting with the important commercial and strategic decisions required to embark upon a nuclear program and / or project and its implementation. NA Engineering Associates Inc. is a comprehensive engineering firm with a growing reputation for delivering successful, professional results. Personal attention combined with state-of-the-art technology assures our clients that projects are handled efficiently from conception to completion. The National Electricity Roundtable (NER) was formed in 1994 to integrate the interests, perspectives and expertise of all parts of the Canadian electric power industry and develop national and international policy positions that reflect the interests of the industry as a whole. The NER serves as a forum that includes electric power utilities, independent power producers, equipment suppliers, equipment manufacturers, engineering companies, construction companies, and several Federal Government Ministries. NAYGN provides opportunities for a young generation of nuclear enthusiasts to develop leadership and professional skills, create life-long connections, engage and inform the public, and inspire today’s nuclear technology professionals to meet the challenges of the 21st century. The Nuclear Industry Association (NIA) is the trade association for the civil nuclear industry in the UK. It represents more than 250 companies across the UK’s nuclear supply chain. The diversity of NIA membership enables effective and constructive industry-wide interaction. NIA member companies have significant expertise in nuclear decommissioning and clean-up, with 17 nuclear sites in the UK currently being managed through the process. We specialize in high quality insurance risk management, underwriting and inspections for Canadian nuclear exposures. We provide true risk transfer, secure insurance capacity and collaborate with the world’s nuclear experts to create innovative domestic solutions for our clients and members. Nuclear Shielding Supplies & Service of Canada, Ltd.
Nuclear Shielding Supplies & Service (NSS) is the worldwide leader in the expertise and supply of heavy aggregates for producing NSS High Density Concrete (DenseCRETE™) and Fillers (ShieldGROUT™). NSS also supplies additives for the attenuation of thermal neutrons in DenseCRETE™, as well as conventional concrete. These high density mineral aggregates are utilized in customized high density concrete applications for radiation shielding in cancer treatment centers, nuclear power plants, collegiate test reactors, national laboratories, research facilities, and for storage/transport casks for radioactive waste. OPG’s focus is on the efficient, reliable and low-cost generation and sale of electricity from its generating assets, while operating in a safe, open and environmentally responsible manner. OPG was established under the Business Corporations Act (Ontario) and is wholly owned by the Province of Ontario. The company’s diversified generating portfolio consists of two nuclear generating stations, 65 hydroelectric generating stations, three thermal generating stations – two of which are biomass, and one wind turbine. Unique nanocavitation technology for decontamination (quick and effective) at NPP. The Organization of Canadian Nuclear Industries (OCNI), is the leading and trusted voice of the Canadian nuclear supply chain actively promoting the production of safe, clean and reliable nuclear electricity. Founded in 1979, OCNI is an association of more than 200 leading Canadian suppliers to the nuclear industry in Canada and abroad. The Pacific Nuclear Council is composed primarily of nuclear societies and associations from nations around the Pacific Rim. The principal present function of the Council is to locate and organize the series of biennial Pacific Basin Nuclear Conferences. In addition, the Council has working groups and task forces for the exchange of information on such subjects as Waste Management, Next Generation Reactors, Standards, and Public Information Programs. We are a global provider and industry leader in providing safe, compliant, and environmentally responsible radiation protection/decommissioning health physics (HP) services and solutions. PTAG is a capital project services partner assisting clients in the global oil & gas, mining, power, and heavy infrastructure indsutries. The Power Workers’ Union (PWU) takes great pride in representing the majority (over 20,000) of the people who work and have worked to build and maintain Ontario’s electricity sector. Since the initial electrification of our province, the PWU has continuously worked to set and improve the standards for public and worker electrical safety. We continue to negotiate the best in sustainable wages, benefits and working conditions for the highly-skilled workers in our industry. The Quality Control Council (QCC) is a joint venture between the International Brotherhood of Boilermakers (IBB) and the United Association of Journeymen and Apprentices of the Plumbing and Pipe Fitting Industry of the United States and Canada (UA), and is recognized as the designated Union to represent non-destructive testing and field heat treatment technicians across Canada. Our members are heavily involved in the nuclear industry including: radiographic inspection (RT) and various non-destructive testing and field heat-treatment within the nuclear power plants in Canada. Founded in 1980, the Radiation Safety Institute of Canada is an independent, national organization dedicated to promoting and advancing radiation safety in the workplace, in the environment and in the community. We offer a broad range of educational, technical and scientific services to businesses, organizations and individuals across Canada and around the world. Our impartial information hotline service receives hundreds of calls and emails every year for information and assistance on workplace radiation questions. RCM Technologies is a leading provider of Professional Engineering Services and IT Business Solutions to over 1,000 clients in the commercial and government sectors. RCM partners with clients to define, implement, and manage a broad range of technologies across multiple platforms, systems, and networks. Working together with operators and utility owners worldwide we focus on our customers’ success. We do this by delivering comprehensive suites of engineering services that support critical investment projects and meet customers’ demands for plant availability, predictability and long-term operation and improvement of existing plant. Over the past five decades our nuclear capability has expanded and developed as nuclear technologies have advanced. Today, our expertise in the technologies that are driving forward the nuclear, aerospace, defence, marine and energy industries worldwide stands ready to work with you to achieve outstanding operational excellence … far into the future. Sargent & Lundy is a global leader in professional services for the electric power industry and has been dedicated exclusively to serving electric power and energy intensive clients for 125 years. The firm provides comprehensive engineering, energy business consulting, and project services for power generation assets (nuclear, fossil fuel, and renewable energy) and power delivery systems. Sargent & Lundy is currently supporting more than 100 nuclear units across North America and nuclear clients worldwide. Saskatchewan Mining Association (SMA) is an industry-driven organization representing the mining and mineral exploration industry with over 25 mining operations in the province. SMA advocates on behalf of members on issues related to provincial and federal regulatory changes, develops and supports educational outreach programs, organizes and hosts public outreach and membership events. Established in 1929, SaskPower is Saskatchewan’s leading vertically integrated energy supplier. With a team of 3,200 employees, we are responsible for serving nearly 528,000 customers spread across 652,000 square kilometres. SaskPower maintains nearly 159,000 kilometres of power lines, 54 high voltage-switching stations, 195 distribution substations and numerous power stations across the province. Siemens Canada is a leading technology partner that has stood for engineering excellence, innovation, quality and reliability for more than 100 years. Siemens’ expertise in the fields of electrification, automation and digitalization helps make real what matters to Canada, delivering solutions for sustainable energy, intelligent infrastructure, healthcare and the future of manufacturing. The company has approximately 5,000 employees, 44 offices and 15 production facilities from coast-to-coast. Founded in 1911, SNC-Lavalin is a global fully integrated professional services and project management company and a major player in the ownership of infrastructure. From offices around the world, SNC-Lavalin’s employees are proud to build what matters. Our teams provide comprehensive end-to-end project solutions – including capital investment, consulting, design, engineering, construction, sustaining capital and operations and maintenance – to clients in oil and gas, mining and metallurgy, infrastructure and power. The Society of Energy Professionals represents more than 8,000 professionals in Ontario, including engineers, scientists, supervisors and lawyers. Founded more than 70 years ago by engineers who wanted better working conditions, SEP now has members in the public, private and not-for-profit sectors. Among the organizations SEP members work for are Ontario Power Generation, Hydro One, Bruce Power, Independent Electricity System Operator, Inergi, Toronto Hydro, Electrical Safety Authority, Ontario Energy Board and Legal Aid Ontario. SRB Technologies, Inc. (SRB) is the World leader in Self-Powered Emergency Lighting and Self Powered Exit Signs. The company was the original commercial developer of the Self Powered Tritium Light Source during the 1960’s. Stuart Olson Industrial Constructors Inc.
Stuart Olson Inc. provides general contracting and electrical building systems contracting in the public and private construction markets as well as general contracting, electrical, mechanical and specialty trades, such as insulation, cladding and asbestos abatement, in the industrial construction and services market. The Company operates office locations throughout British Columbia, Alberta, Saskatchewan, Manitoba and Ontario. Sylvia Fedoruk Canadian Centre for Nuclear Innovation Inc. The Sylvia Fedoruk Canadian Centre for Nuclear Innovation is building a research and innovation capacity to support a vibrant nuclear sector in Saskatchewan and Canada. Working with academic institutions in partnership with industry and experts from across Canada and around the world, the Fedoruk Centre is placing Saskatchewan among global leaders in nuclear research, development and training in the areas of nuclear medicine and molecular imaging, social and environmental aspects of nuclear development, energy production including small reactors, and materials research. Terrestrial Energy is a developer of advanced reactor power plants that use its proprietary Integral Molten Salt Reactor (IMSR®) technology. This technology represents true innovation in cost reduction, versatility and functionality. IMSR power plants will provide clean, convenient, dispatchable and cost-competitive heat for many industrial applications, including electric power provision and heat for industrial processes, such as chemical synthesis and desalination. Terrestrial Energy plans to bring IMSR® power plants to markets in the 2020s. 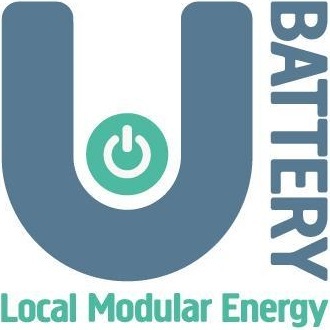 U-Battery is a 10MWt/4We High Temperature Gas Reactor being developed by a consortium of URENCO, AMEC FW, Cammell-Laird and Laing O’Rourke. Building on existing technology it offers a low cost, low risk development of a low emission power source for deployment at industrial sites and off-grid locations. At Ultraray, we provide radiation shielding solutions and supplies for Hospital and Clinic Construction, Industrial NDT, Power Generation, Security and Defense, Aerospace and Nuclear Industries. University Network of Excellence in Nuclear Engineering (known as UNENE) was created in 2002 as a partnership between Industry and universities with the objectives of establishing a nuclear R&D program in universities, train and develop Highly Qualified Personnel (HQP) to address the demographic gap and to create a sustainable source of expertise for independent industry and public consultation. Unified Engineering is an idustry leader designing and building custom machinery and providing engineering solutions. Recognized for offering customers unique solutions to problems, technical expertise and product design services. Our engineering technicians and skilled trades are experienced in designing and building equipment for the process steel, fabrication power and nuclear industries. We are a fully integrated supplier providing, engineering, design, manufacturing, testing, installation, commissioning and field services. The University of Ontario Institute of Technology’s innovative and unique undergraduate and graduate programs are designed to meet your interests and career aspirations, along with the market-driven requirements of employers. When you graduate, you will have the critical thinking, innovative research and technological skills demanded by the world’s leading employers. Professors and students undertake research in a wide range of areas that include automotive design and engineering, business and information technology, computational science, alternative and sustainable energy, nuclear engineering, law enforcement, manufacturing, community/public health, to name just a few. Veolia Nuclear Solutions includes the most comprehensive range of technologies, operations and services for nuclear facility restoration, decommissioning of plants, and the treatment of low-and intermediate-level radioactive waste, all nurtured by our nuclear experts and backed by thousands of Veolia staff worldwide. Our integrated value chain includes a broad range of expertise, technologies and services, including: Investigation and Characterization; Remote Access Solutions (Robotics); Separation of Radioisotopes from Waste Streams; Technologies related to Waste Treatment and Stabilization/Disposition of Radioactive Waste; and ongoing Management and Operations of Nuclear Facilities for our government and nuclear clients. Westinghouse provides electric utility companies around the world with the most reliable, dependable nuclear power plants, nuclear fuel, plant automation and operating plant products and services. Innovation has been the cornerstone of Westinghouse Electric Company since it was founded by George Westinghouse in 1886. Today, Westinghouse is the engine of innovation for the nuclear industry, fueled by our team of 12,000 employees globally. Since its inception in 2004, WiN Canada has promoted the role of women in the Canadian nuclear and radiation related industries. WiN Canada brings women together into a supportive environment to provide opportunities to succeed through mentoring, networking, and personal development initiatives. WiN Canada enjoys a diverse membership representing not only skilled and technical disciplines, but also those who support the industry in less obvious roles such as: lawyers, accountants, financial professionals, sales, and administrators. The World Nuclear Association is the international organization that represents the global nuclear industry. Its mission is to promote a wider understanding of nuclear energy among key international influencers by producing authoritative information, developing common industry positions, and contributing to the energy debate. The World Nuclear Transport Institute (WNTI) was founded in 1998 by British Nuclear Fuels plc (BNFL), now International Nuclear Services (INS) of the United Kingdom, COGEMA now AREVA of France, and the Federation of Electric Power Companies (FEPC) of Japan to represent the collective interests of the radioactive materials transport sector, and those who rely on safe, effective and reliable transport. We provide our customers with a wide range of consulting and advisory services, and deep technical expertise across multiple projects. Our integrated offerings cover full asset management services and engineering, procurement and construction capability. We deliver these outcomes through our four business lines – Advisian, Major Projects, Integrated Solutions and Services.